Read the complete and historic Wilderness Letter . . . 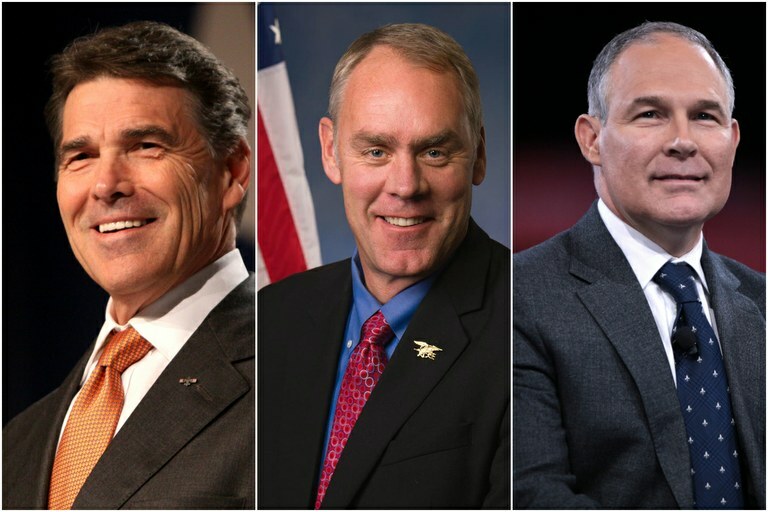 Complementing leadership, men without a sense of place: Rick Perry, Energy Secretary; Ryan Zinke, Interior Secretary, and Scott Pruitt, Environmental Protection Agency Administrator. A commons image.